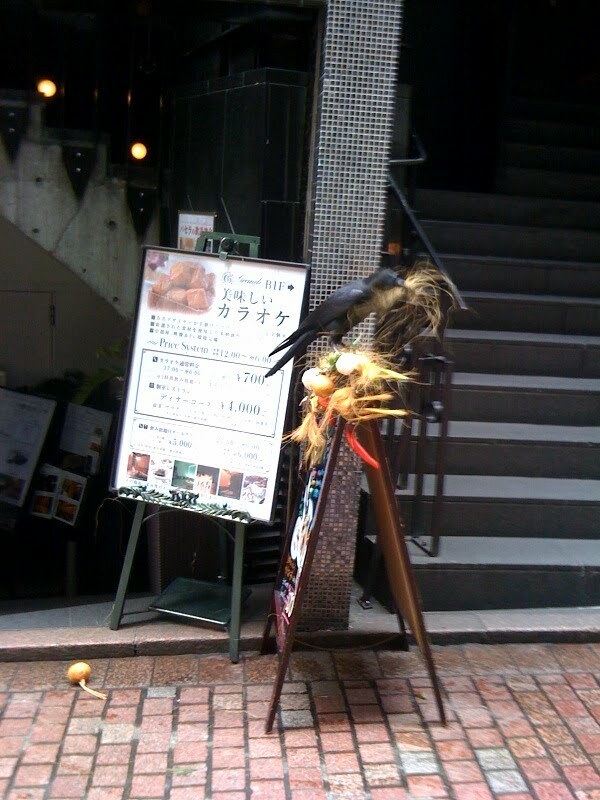 Walking through Shibuya early this morning, I passed this black crow, hard at work ripping apart some restaurant's ill-advised sandwich board adornment. Totally logical, as the straw (a bit of cornucopia?) is, of course, ideal nesting material. Who can blame this bird for grabbing it? I was quite impressed with the way it was pulling and twisting the stuff free with its beak while maintaining its perch and keeping a sharp eye on any human witness who happened past. I didn't stop to observe for long. 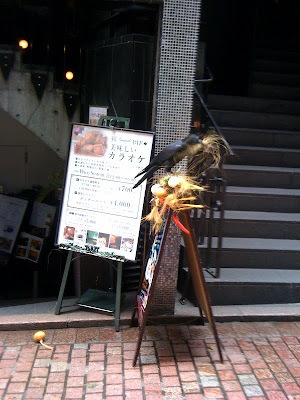 Them black crows are scary. Hey, there. Found my way to your blog through something on Facebook and have spent the past hour procrastinating with it. What an adventure! Fun to read about. But I can't find the answer to these questions: Why are you there? What kind of work does Terry do? How old are your boys (mine are 10 and 12 1/2 now). Looks like you guys are having a great time. Great blog.